Medical Network Africa has launched a new product called MedNetwork, a platform that links patients and medical service providers throughout Zimbabwe. 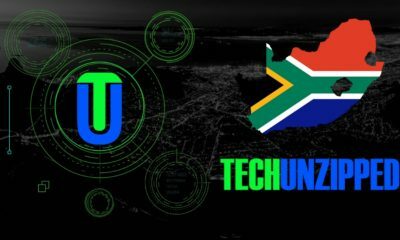 In an interview with techunzipped news, Medical Network Africa Director of Operations Mr Shepherd Makovere said the platform operates via a mobile app thus the app will give information such as a list of available medical service providers to users. “The platform operates via the MedNetwork mobile app which is downloadable for free from Google Play Store, or Apple App store, primarily the MedNetwork mobile app will give users information such as a list of medical service providers closest to users (whether they are doctors, pharmacies, hospitals, laboratories) their contact details, whether they are open or closed at the time, directions on how to get there and payment methods. “Users can also make bookings with doctors via the app and send their pick up locations to an ambulance service providers in case of emergency.” He said. Medical Network Africa’s mission is to create and grow a network of medical services providers across the African Continent! When asked whether they have fulfilled the mission yet, Mr Makovere said the company strive to serve Zimbabwe first then parallel to other nations in the future. “Medical Network Africa is a Zimbabwean company. Pursuant to its mission it comes naturally that operations start in Zimbabwe where we aim to serve our own nation first before going beyond our borders.” He said. “We have not worked with other countries yet but will do so once we develop our products to adequately meet the needs of the Zimbabwe network.” He added. When asked how the new platform will help the people and the economy of Zimbabwe, Mr Shepherd Makovere said the mobile app will serve users time and high transport costs since the user will just get the information required through the app without making much effort. “Efficient processes are themselves benefits to the economy, for example in these days where transport costs are high, a user of the app can save time and money by getting required information from a central source which is the MedNetwork platform without having to move around physically.” He said. Medical Network Africa is an internet solutions company that seeks to create and grow a network of medical services providers across the African continent.